Other: Berk Hakman’s father is a dentist and singer Ataman Hakman. His parents are of Albanian descent. Berk Hakman has been playing guitar since he was 11 years old. While he was going to high school, he started to play keyboard instruments, trumpet and bass guitar. 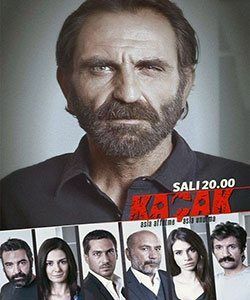 Berk Hakman started his acting career with his role in a movie named School (Okul). Berk Hakman knows English and French. Other: Begum Birgoren’s father is an economist and her mother is a teacher. Her mother is of Cherkes descent. Begum Birgoren started to attend to Mujdat Gezen Art Center seminars while she was 13 years old. She made her debut with her role Ayse at popular Turkish drama Broken Wings (Kirik Kanatlar). She became the lead actress with her role Melike at Turkish drama Dawn (Seher Vakti). Other: Selen Ozturk’s mother is of Cyprus descent and her father comes from Usak, Turkey. After graduation, she moved to Istanbul and worked at various theatres such as Theatre Cat (Tiyatro Kedi), Theatre House of Game (Tiyatro Oyun) and Oyun Atolyesi. Selen Ozturk knows playing piano and guitar. She made her debut with Gulfem role in a popular Turkish drama Magnificent Century (Muhtesem Yuzyil). Other: Dilara Aksuyek took part in various tv projects as an actress in supporting roles after she graduated from Mujdat Gezen Art Center. She became popular with her role in Turkish drama Mercy (Merhamet). Fazilet Hanim (Nazan Kesal) has been dreaming to become rich throughout her life but never becomes successful and lives in a poor neighborhood. After her husband’s death, she becomes the head of the family and lives together with her two daughters, Hazan (Deniz Baysal) and Ece (Afra Saracoglu). Fazilet Hanim has raised her daughters with difficulty but never gives up her passion about a better life. She starts to use her younger daughter Ece and wants to make her an actresses or photomodel. In pursuit of this goal, she even does not care about her daughter’s education and takes her from one audition to another. Hazan, on the other hand, does not approve her mother’s attitude and hides her beauty. She wears masculine clothes and works at the gym as a trainer. She blames her mother for the death of her father and never gets along with her mother since then. Hazan thinks that her mother Fazilet does not love her due to the fact that her mother had to say goodbye to her dreams after giving birth. For this reason, Hazan becomes stubborn, aggressive and firm towards her. She becomes the biggest obstable in front of Fazilet’s dreams and attacks her mother for using her little sister. The life of Fazilet Hanim and her daughters changes drastically when they come across the wealthy and prestigious family of Egemen.